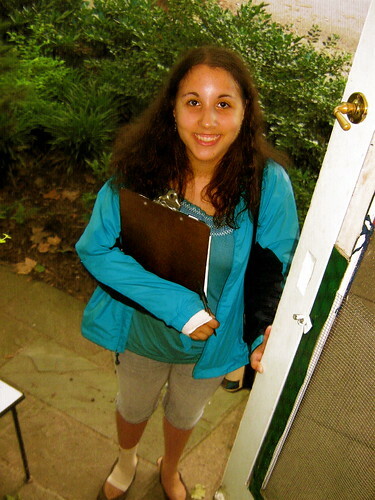 I'm out here canvassing [for] the League of Conservation Voters. We're currently working on getting a house resolution passed called HR2454 (American Clean Energy And Security Act of 2009). The bill would have funds and grants for solar and wind energy and would create millions of new jobs across the U.S. and two hundred thousand jobs immediately in Pennsylvania." Sarah Evans, Vassar College student from Media. Click here to watch video interview. ARE THERE MANY PHILLIES FANS OUT HERE IN KALAMAZOO? "Not too many, some. The head coach of Kalamazoo College's tennis team is from Philadelphia and he's a big Phillies fan. 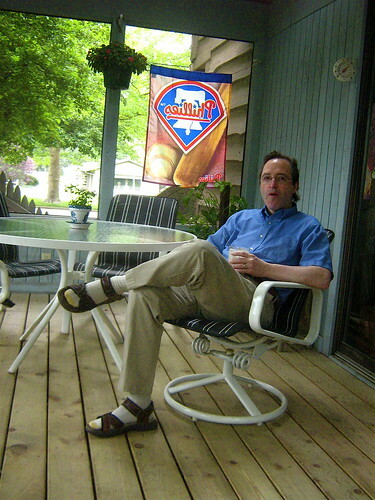 "Jan Tobochnik, Kalamazoo, Michigan, formerly of Philadelphia. "Thank you, family in America, Charlie Affels and thank you Elizabeth Affel and thank you for the surgery Doctor A. Lee Osterman and thank you, people America." Marwan, a 27 year old Iraqi man, the subject of Close Up in the January 24, 2008 issue of the Local when he was first in the U.S. for reconstructive surgery on his arm that was badly injured from a car bomb that killed nine of his colleagues. He wanted to publicly thank his host family, the people who brought him here and his doctor in the Local on this return visit for additional surgery and therapy. 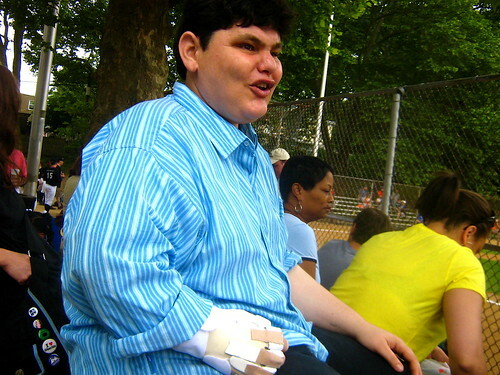 He is seen here cheering at the Chestnut Hill Youth Sports Club major league baseball championship game. With the score tied at 1 to 1 going in to the bottom of the fifth of six innings, the Pirates emerged with a 5 to 1 victory over the Dodgers. 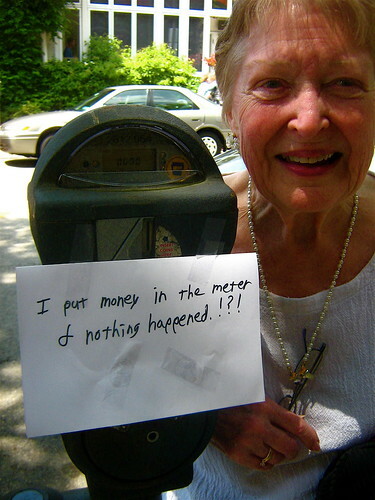 I put money in the meter and nothing happened!?! "I put in 50 cents and the second quarter didn’t move it at all. I had 43 minutes. So when I went in the restaurant I told the waiter and asked him about it. Because I thought putting in the second quarter I’d at least get an hour. And he said I’ll go out and check on it for you if you tell me when. He said they’re very careful in Chestnut Hill but you know you can park free in the lot. We didn’t know that, haven’t been here in a year. So then I came out when the time was up and saw that he put the note on the front of my car with two quarters. I only gave him one quarter. So the meter man seeing me come to put the note on the meter came over to me and said you know you should always put the note on the meter and not on the car. And I said but that’s not my note, it was the waiter who thought to put the note there and added his own quarter. Now I’ll go back and give the waiter back his quarter. And I also reported to the waiter what the meter man had told me." DID YOU HAVE A GOOD LUNCH? "Yes, a delicious lunch and we’ll come here again because it’s the halfway point between [downtown] Philadelphia and Gwynedd." Polly Dunn of Foulkeways in Gwynedd,Pa. across the street from Cake. Click here to see video interview.